Bats are fascinating creatures—both from the point of scientific research and their place in the canon of the horror genre as spooky creatures of the night. 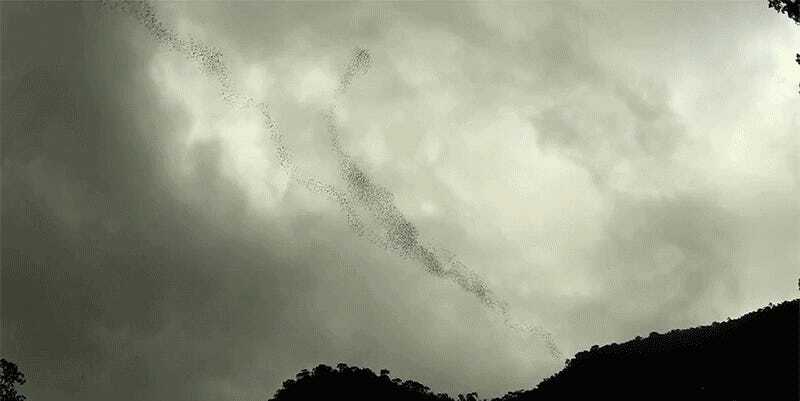 So whether you’re a science person or a horror person, this shot of millions of bats streaming into the sky is either great, or great and fearsome. It’s sort of like watching ribbons undulating in the wind, until you realize that the ribbons are actually made up of millions of hungry bats. Which, like I said, is both an amazing sight and one that might send a chill down your spine.